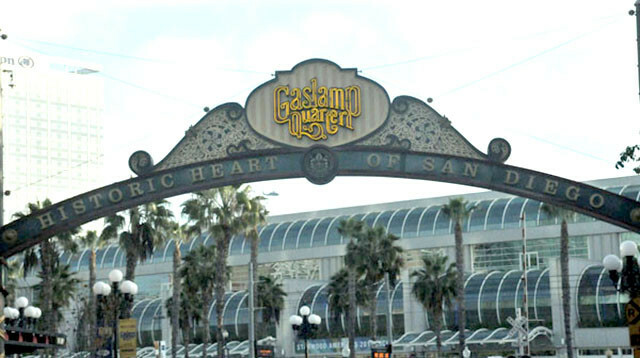 Authorities Tuesday identified a man who was fatally shot following a dispute between two groups of people in the Gaslamp District. Officers responding to a report of gunfire at Fifth Avenue and Market Street just before 2 a.m. Monday found people tending to 33-year-old Joseph Aaron Holtz, who was suffering from at least one apparent gunshot to his upper body, Lt. Matt Dobbs said. The officers and paramedics took over lifesaving efforts, but Holtz was pronounced dead at the scene, Dobbs said. Following the interrogation, one of the detainees, 23-year-old Jonathan Hernandez, was arrested on suspicion of murder and booked into San Diego Central Jail. Detectives hoped to speak to more witnesses to the deadly confrontation, according to Dobbs.